The purpose of this Code of Ethics and Practice is to establish and maintain standards for graduates of the Buteyko Clinic International. The Code aims to describe the principles of integrity and competence in the practice of the Buteyko Method. It cannot claim to be totally comprehensive, rather it sets out principles to which graduates of the Buteyko Clinic International should adhere. Buteyko Clinic International Practitioners and Practitioner Trainers (see Section 2) should conduct themselves with honesty and dignity at all times in relation to their dealings with clients, and other Practitioners and Practitioner Trainers. Buteyko Clinic International Practitioners and Practitioner Trainers should promote the health of their clients and protect them from harm. The code describes the standards of conduct and practice the Buteyko Clinic International expects of its certified Practitioners and Practitioner Trainers. A Buteyko Clinic International Practitioner has, by becoming certified under the guidance of a Buteyko Clinic International Practitioner Trainer, agreed to observe and be bound by the Code of Ethics and Practice – to abide by the regulations of the Buteyko Clinic International. All graduates of the Buteyko Clinic International, regardless of graduate category, are required to abide by this code of Ethics and Practice. The core belief of the Buteyko Clinic International is that complementary breathing therapies have a valid place in medicine and the Buteyko Clinic International seeks to increase awareness and knowledge of the Buteyko Method amongst members of the public and members of the medical profession, so that they come to know that Buteyko breathing techniques have now been assigned an level ‘A’ classification (the highest possible) for the strength of clinical evidence supporting its efficacy, by the Global Initiative for Asthma (GINA). One of GINA’s most important activities is to work with international experts to produce guidelines, reports, and other resources about asthma. These materials incorporate the latest science to help improve asthma management and the lives of asthma patients around the world. Clients will understand that when they are being trained by a Buteyko Clinic International certified Practitioner that this Practitioner is qualified, insured and adheres to a strict Buteyko Clinic International Code of Ethics and Practice. It is suggested that the Practitioner allows clients access to this information so that they can become familiar with the manner in which a Buteyko Clinic International certified Practitioner works and the Code of Ethics and Practice the Practitioner subscribes to. It is the responsibility of every Practitioner and Practitioner Trainer certified by the Buteyko Clinic International to be familar with the content of this Code and the guidelines in Section 5 below and be able to explain its requirements satisfactorily to their clients. The Buteyko Method: A form of complementary physical therapy that proposes the use of breathing exercises as a treatment for a range of breathing disorders including asthma, anxiety and sleep disorders. The essence of the method is to decrease the depth of breathing by will power and by relaxation of breathing muscles until one achieves a slight feeling of lack of air. All mentally healthy adults and children from the age of three can use the method. Clinic: An occasion when an expert teaching a class on their subject. 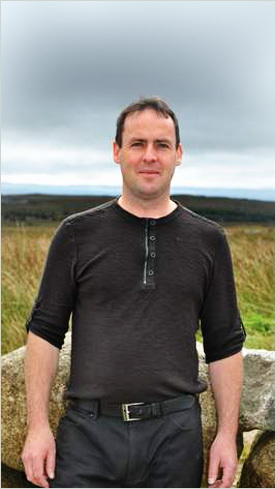 Buteyko Clinic International Practitioner: This party is trained and certified in the Buteyko Method by the Buteyko Clinic International Director of Education and has the authorisation to offer a Buteyko Method training service to clients. Buteyko Clinic International Practitioner Trainer: This person is trained and certified in Buteyko by the Buteyko Clinic International Clinical Director and has the authorisation to offer a Buteyko service to clients as well as offering prospective practitioners training in becoming a Buteyko Method Practitioner. To increase awareness and knowledge of the Buteyko Method amongst members of the public and members of the medical profession. To train prospective practitioners in the Buteyko Method. follow guidelines as laid down by the Buteyko Clinic International Code of Ethics and Practice. identify and resolve any personal conflicts which might seem to jeopardise their good standing. The Practitioner or Practitioner Trainer must abide by the law of the country in which they practice. A Practitioner should never, in the practice of Buteyko breathing therapy, seek to, or cause a client to be exploited. Responsibility for ceasing prescribed drugs lies with the person who prescribed them. Where a client has made sufficient progress so that it appears they may be able to withdraw from the medication this is to be done in conjunction with the client’s prescriber. If the prescriber is not co-operative then the Buteyko Clinic International certified Practitioner can advise their client to seek the advice of another medical practitioner. Information about a client which is obtained in a professional context must be kept absolutely confidential. The Practitioner must be fully insured. The physical and psychological safety and protection of clients must be given every consideration. When advertising professional services members should ensure accuracy. Clients ideals and beliefs must be respected at all times. 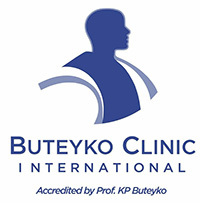 Practitioners may not use their affiliation with the Buteyko Clinic International to advertise or promote any product, remedy or service other than their particular Buteyko breathing service except with the express permission of the Buteyko Clinic International Clinical Director. The location of practices and their facilities must be of a good professional standard. In relation to facilities, they should: (a) be free from excessive noise or other distractions, (b) have a comfortable ambient temperature, (c) have easily accessible toilet facilities, and (d) have adequate space to practice all exercises. Clients’ notes must be kept secure at all times. Practitioners should not speak disrespectfully or disparagingly of other Practitioners in public or to clients. Buteyko Clinic International is not liable for any training intervention received by any client. This is the sole responsibility of the practitioner who delivered the training.